I found this in my email inbox this morning, and thought my readers may find it interesting. Enjoy! If you follow an ancestral diet, you’ve probably given up the consumption of grains. And that’s a good thing. Not only are grain-based foods unnecessary from a nutritional perspective, they also promote inflammation, contain anti-nutrients and contribute to leaky gut. But what about the so-called “pseudograins” that are often used as a replacement? The most popular of these are quinoa, buckwheat and amaranth. And while these foods have a taste and texture that bears a resemblance to grains, they are actually the seeds of broadleaf plants and are biologically unrelated to grains. They are often touted as a safe alternative. 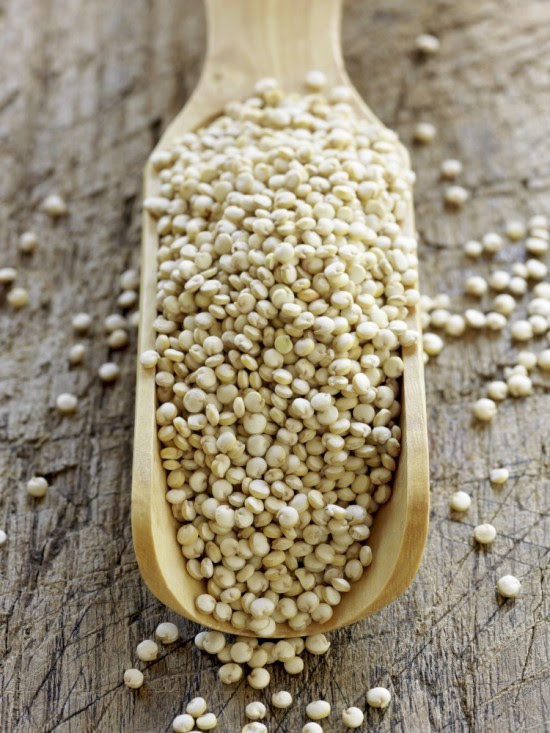 Unfortunately, however, despite their despite their genetic differences and “healthy” reputation, pseudograins (including the wildly popular quinoa) can have many of the same health-harming effects as their grain-based counterparts. Speaking from personal experience, I had eaten quinoa off and on for some time with no apparent ill effects. Then I had a meal with a quinoa side dish and experienced significant abdominal distress the next day. I didn’t attribute it to the quinoa, until the same thing happened after I consumed it again several weeks later. As I dug into the research, I discovered that three of the compounds found in grains that are known to cause digestive and immune problems are also found in pseudograins. The three potentially harmful compounds are lectins,saponins, and protease inhibitors. Each of these are designed to protect the plant from being consumed. They do this by causing digestive irritation to the animal (or person) eating them. But the damage does necessarily end with a benign “belly ache”. Lectins are a type of protein that is a component of the plant’s natural defense mechanism. Lectins strongly interact with the proteins in gut cell membranes, increasing intestinal permeability. Once this occurs, lectins are able to pass through the “leaky gut” into the bloodstream. This contributes to systemic inflammation and increases the risk of autoimmune illness. While many foods contain lectins, those that are heat-stable (like the ones found in grains, pseudograins and legumes) appear to have the most harmful effects. Saponins have a molecular structure similar to detergents. These compounds can interact and combine with cholesterol molecules in the cell membranes. This process also creates micro-tears in the gut, allowing a variety of harmful substances to leak into the bloodstream. Saponins can also damage the membrane of red blood cells, causing these cells to break down. What’s more, they act as adjuvants – triggers that can cause a cascading inflammatory and immune response. Small doses of saponins are found in fruits and vegetables and may actually be beneficial, helping to enhance nutrient absorption. However, the large doses found in pseudograins have been shown to compromise the integrity of the human gut. Protease inhibitors are compounds found in pseudograins (as well as grains and legumes) which inhibit the digestion of proteins. But the protease inhibitors don’t just prevent proteins in the seed from being degraded – they also prevent your body from breaking down other proteins consumed at that time. In response, the pancreas secretes more digestive enzymes to facilitate protein digestion. However, because the protein-dissolving enzyme, protease, is being inhibited, the result is an excess of trypsin. While trypsin is essential, an excess in the small intestine can weaken the connections between gut cells. This too can create a leaky gut and set the stage for inflammation and autoimmune illness. Maintaining – or regaining – a healthy gut is essential to prevent a multitude of chronic illnesses, including autoimmune diseases, food allergies, cognitive decline, mood disorders and more. Eliminating grains and pseudograins, while enjoying a diet rich in organic vegetables, healthy fats, pastured meats, wild fish, and nutrient-dense bone broth provides a template for the healthy gut diet on which our ancestors thrived. P.S. If you haven’t already, I encourage you to check out Paleo Pete’s new cookbook, with more than 80 super-tasty paleo-approved recipes. Today, his publisher will send you the book for free – just pay shipping. Tommy Jönsson,Stefan Olsson, Bo Ahrén, Thorkild C Bøg-Hansen, Anita Dole, and Staffan Lindeberg. Agrarian diet and diseases of affluence – Do evolutionary novel dietary lectins cause leptin resistance?BMC Endocr Disord. 2005; 5:10. Gee JM, et al. Effects of saponins and glycoalkaloids on the permeability and viability of mammalian intestinal cells and on the integrity of tissue preparations in vitro. Toxicol In Vitro. 1996 Apr;10(2):117-28. Freed DL. Do dietary lectins cause disease? Bmj. 1999;318:1023–1024. Johnson IT, Gee JM, Price K, Curl C, Fenwick GR. Influence of saponins on gut permeability and active nutrient transport in vitro. J Nutr. 1986 Nov;116(11):2270-7.